This year's Bognor Prom 10k was a record-breaker - and was dominated by Sussex athletes. 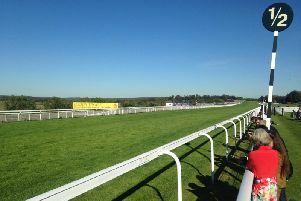 With the 2,000 race entry limit reached, there was a record number of starters for the 24th running of the popular race. Billinghurst's Bernie Spannagl of the Horsham Blue Star club was the winner in 32min 46sec, just four seconds ahead of Chichester's James Baker. Third was another Chicheter runner, Mike Houston. We'll have a full report and results in the Bognor Observer but above is a video of all the starters just after they'd begun the race - see if you can see yourself if you were one of those taking part.